• Ready for new experiences? Sunsilk Defeat Damage Shampoo, with Keratin, removes accumulated residues to prepare your hair for the next adventure. 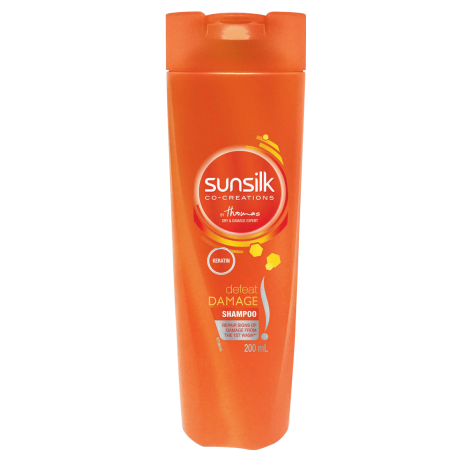 Sunsilk Defeat Damage Shampoo 350ml Repairs signs of damage from the 1st wash** **Dull, limp and dry hair. With shampoo & conditioner system vs non-conditioning shampoo. Ready? Massage onto wet hair and then rinse thoroughly. Repeat application and use daily. For even more incredible hair, why not combine it with Sunsilk Defeat Damage Conditioner?